The end of the sidewalk is a cliff. A house is built on the ground just below it. If I reach out, it will reach the wall of the house. which is above the window of my house. the eave's tin plate recessed like an origami paper. I return to the sidewalk while I struggle. 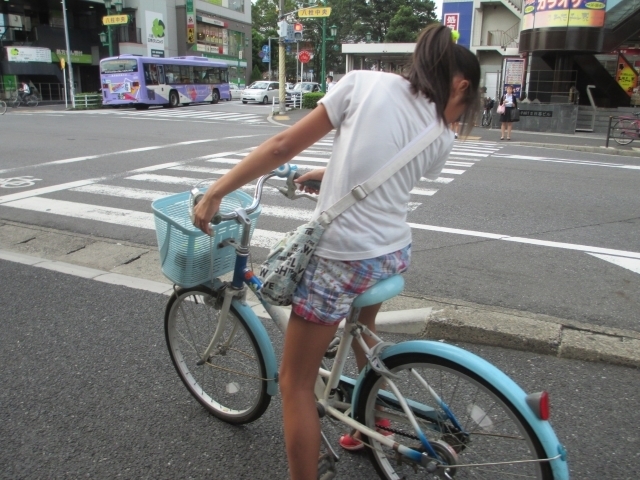 Cycling with three junior high school girls. On the way, we get off the bike. We have fun talking while shooting with a mobile terminal. The topic has been exhausted, so let's raise it soon. However, I notice that I do not have my bag. My bag was tied to the roadside bicycle carrier. However, there are no three girls.